Entrepreneurship Competition For University Students ONLY! Entrepreneurship - Intervarsity - Enter Your Business Idea! 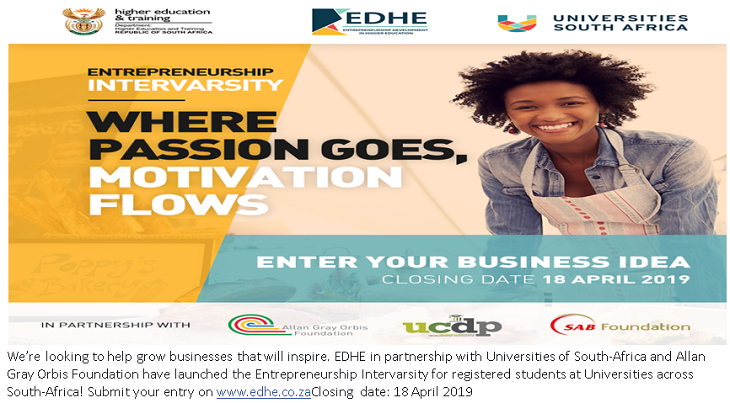 The Entrepreneurship Intervarsity encourages and supports student entrepreneurship across the 26 public universities in South Africa. Student entrepreneurs are invited to submit their innovative ideas and businesses for this unique opportunity. 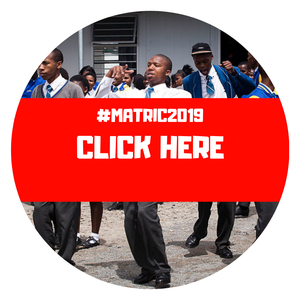 The purpose of this competition is to identify the top student entrepreneurs at each university, showcase their businesses and invite investment into this cohort of start-ups. In the process, universities will have the opportunity to demonstrate their entrepreneurial talent and the ways in which they support and grow the next generation of business leaders. Are You Looking for Funding for Your Arts and Culture Project 2019/2020?